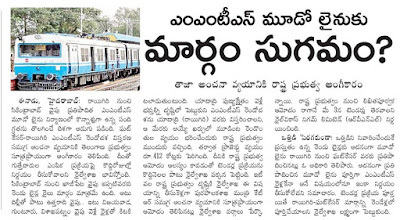 As per the news, proposed MMTS to Yadadri project tenders has not opened due to some issues, which has been cleared between the Govt of Telangana and South Central railways, in result of this the tenders may open on 3rd of may. if the tender process complete and work starts it may take to two years to complete the project. it also mentioned that the project value was increased since the approved Railway budget of 2016 as Rs.330 Cr. to 412 Cr. 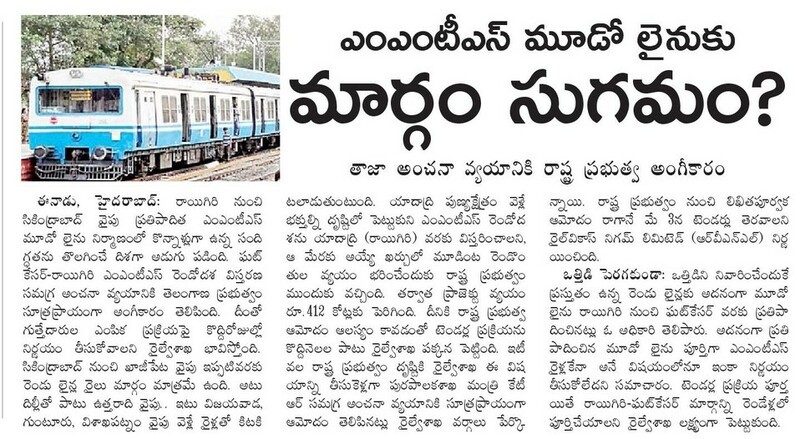 in which Govt of Telangana will ready to fund 2/3 of the project value. 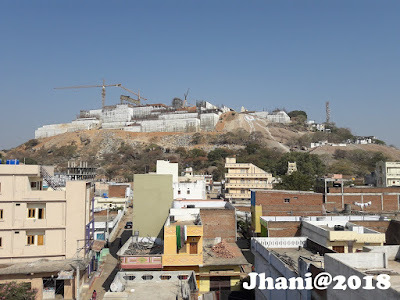 As per my observation, Yadadri MMTS works cant be success until the Hyd MMTS-II works complete and starts the trains, which works has been under progress from Ghatkesar to Moulali / Sanath Nagar. Once this phase 2 comes in active, the extension of the works from Ghatkesar to Raigir (Yadadri) may come in to force. Phase 2 deadline is as per the news is Dec/2018. Note : As the Central Govt approved Extension of MMTS trains (loca trains) to Raigir (Yadadri) and laying the Third Line from Ghatkesar to Raigir in Rail Budget 2016 on 25-02-2016, which was proposed by the Telangana Honble CM #KCR to Railway Ministry of Govt of India and assured to fund the project value of 2/3.